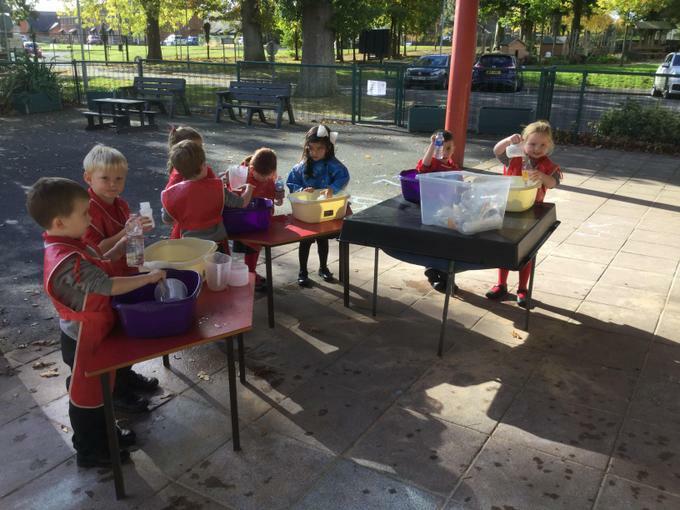 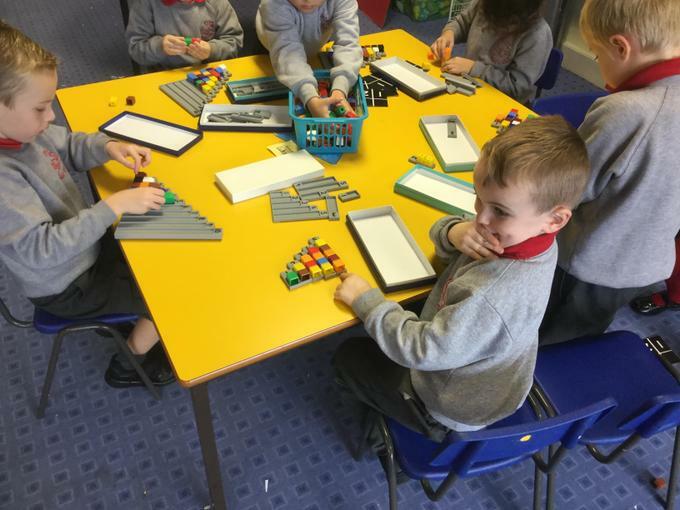 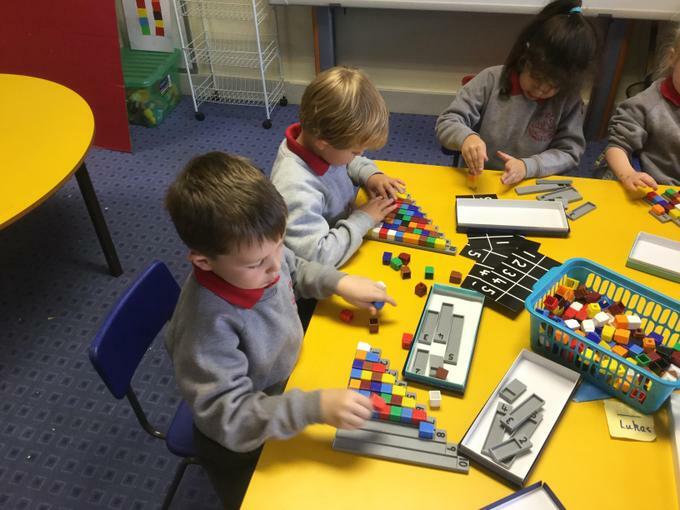 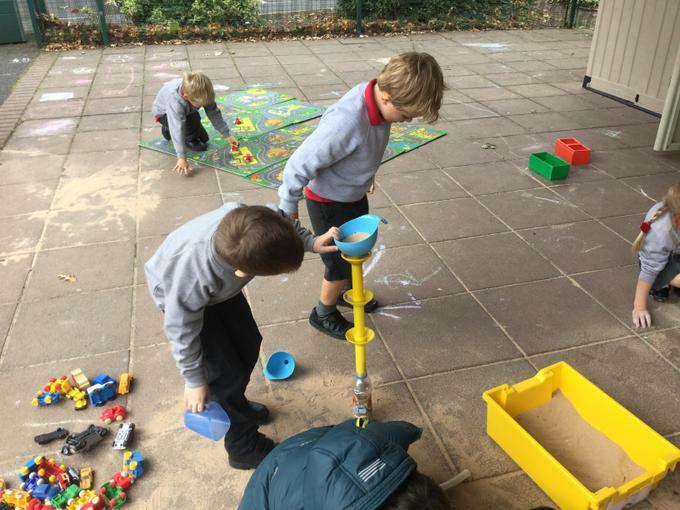 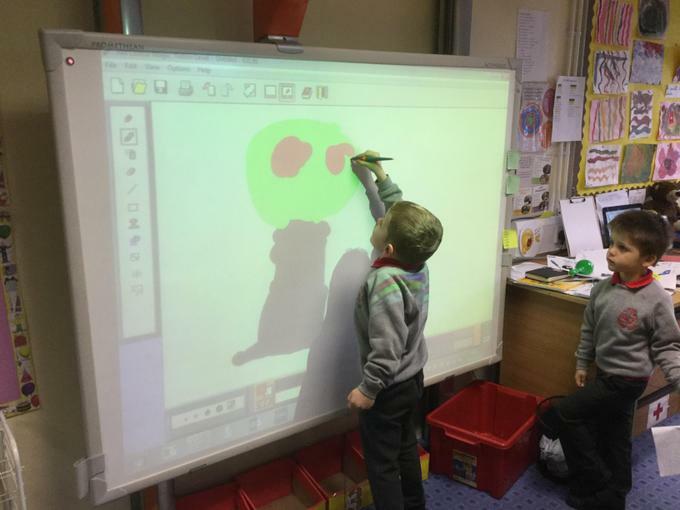 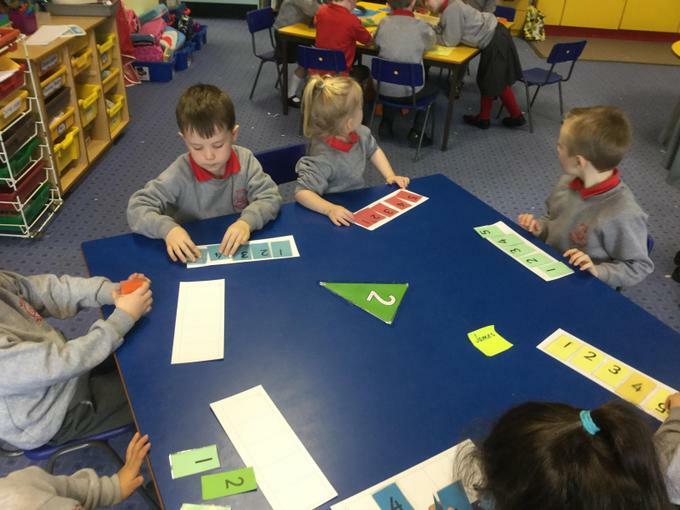 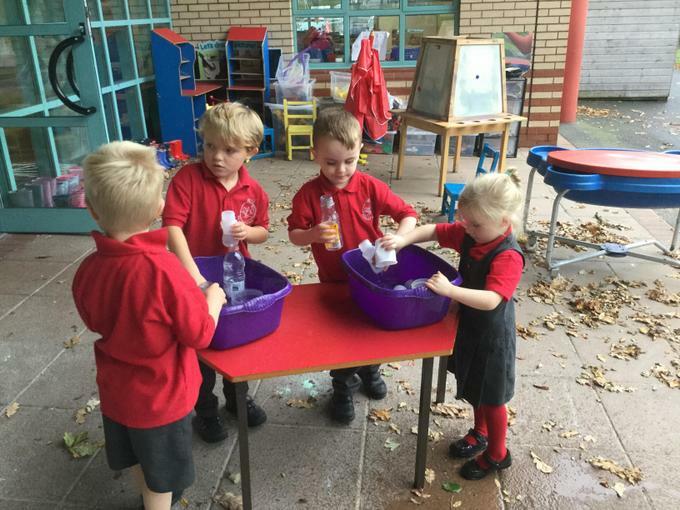 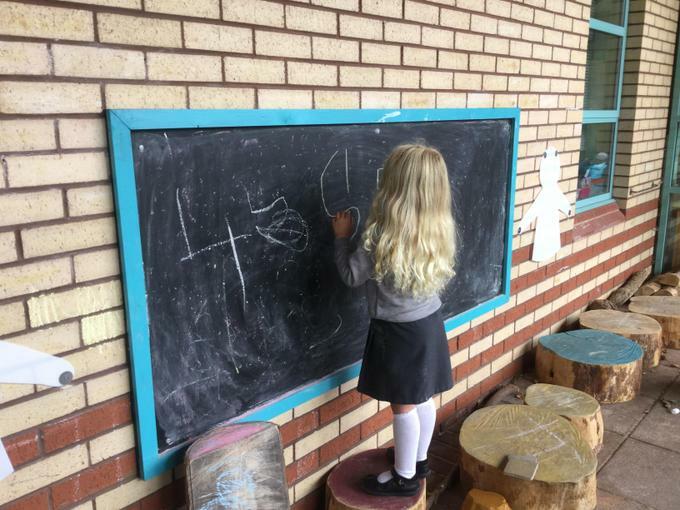 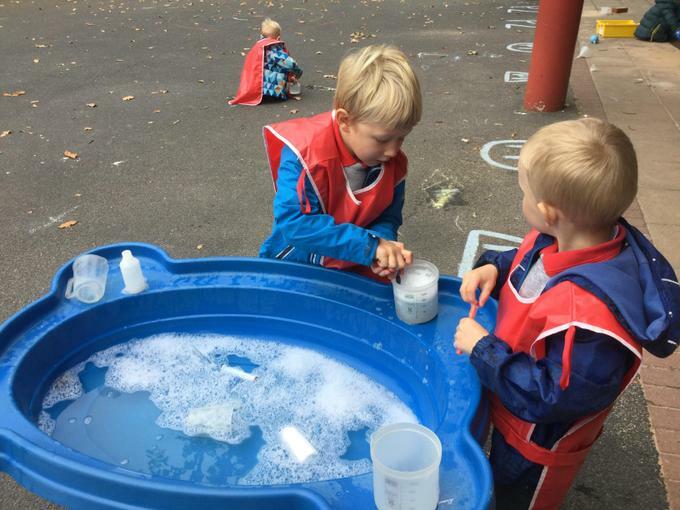 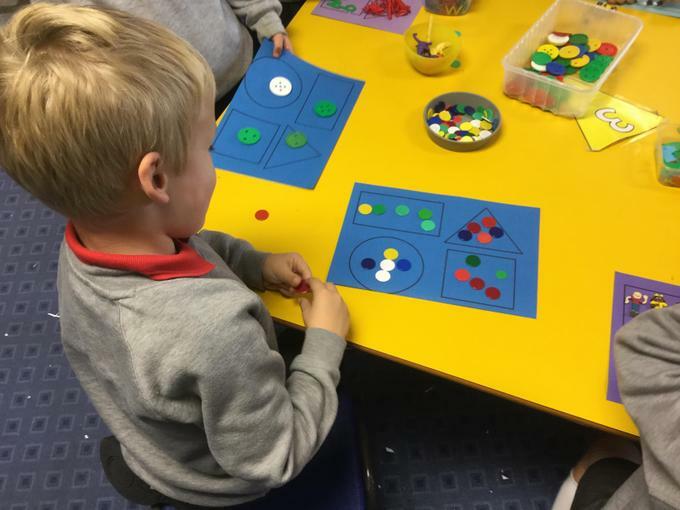 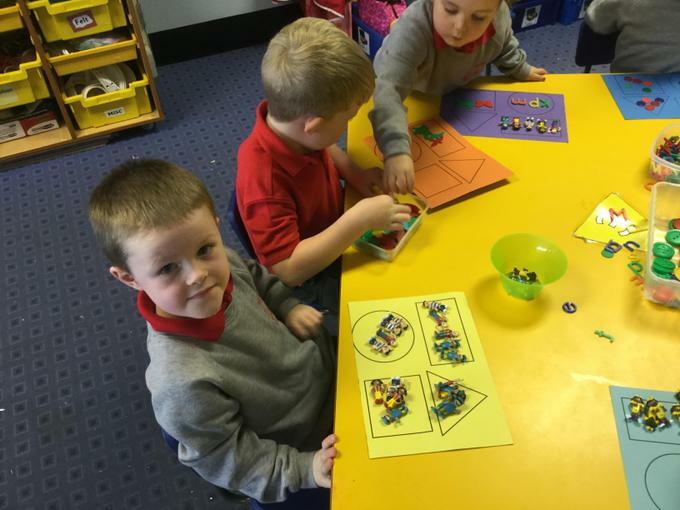 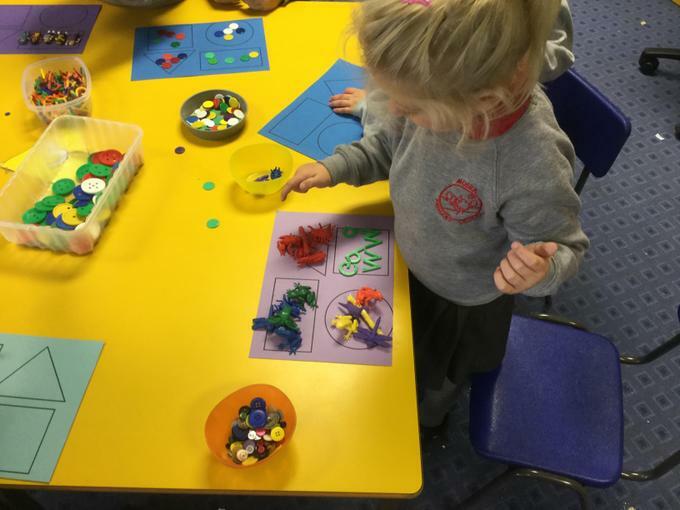 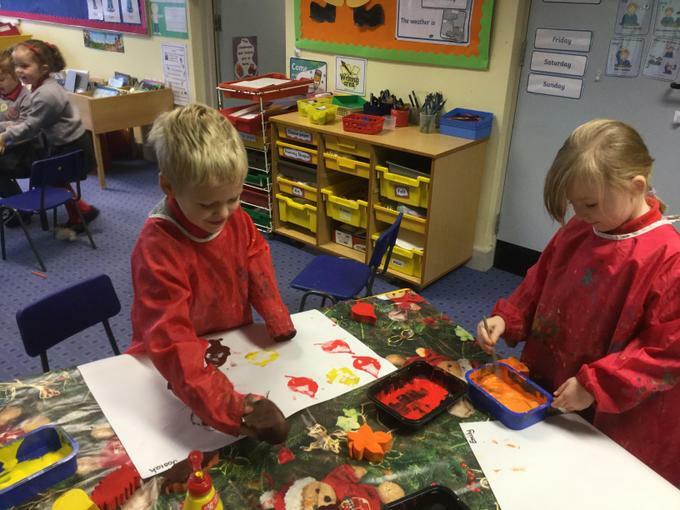 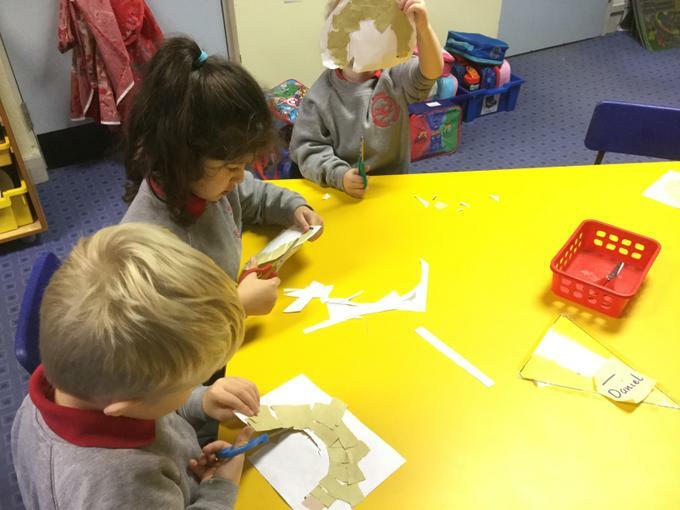 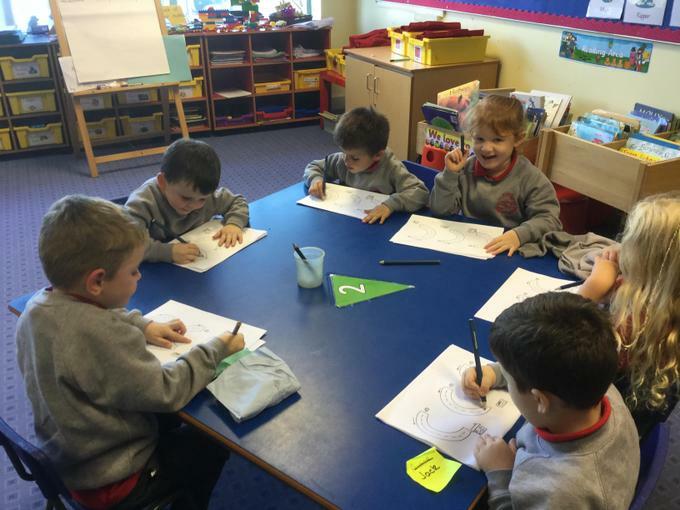 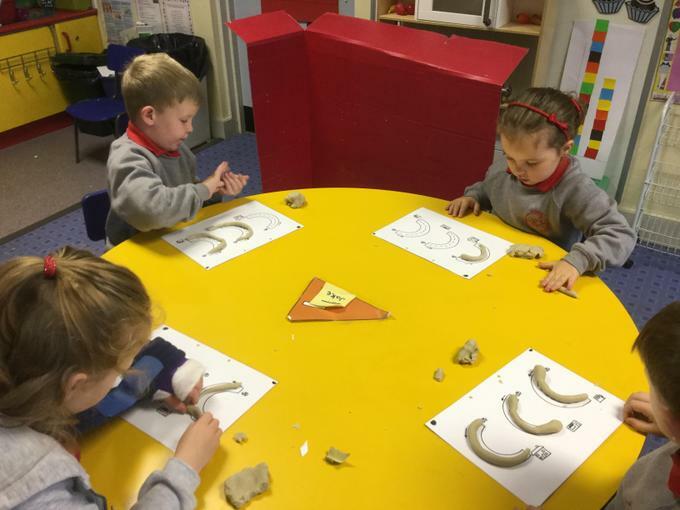 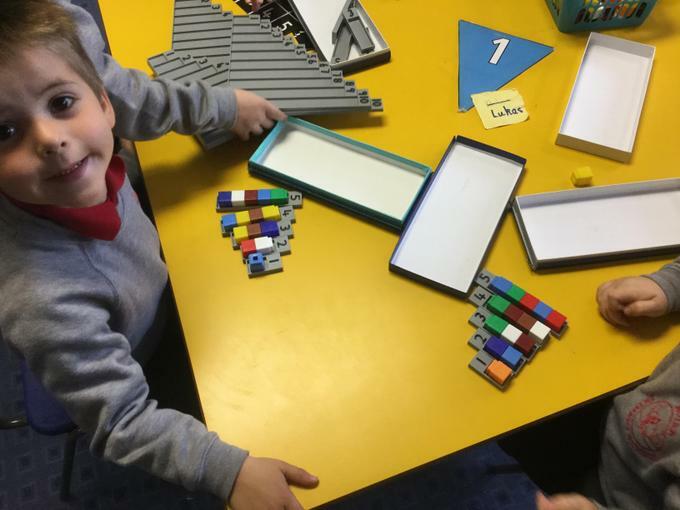 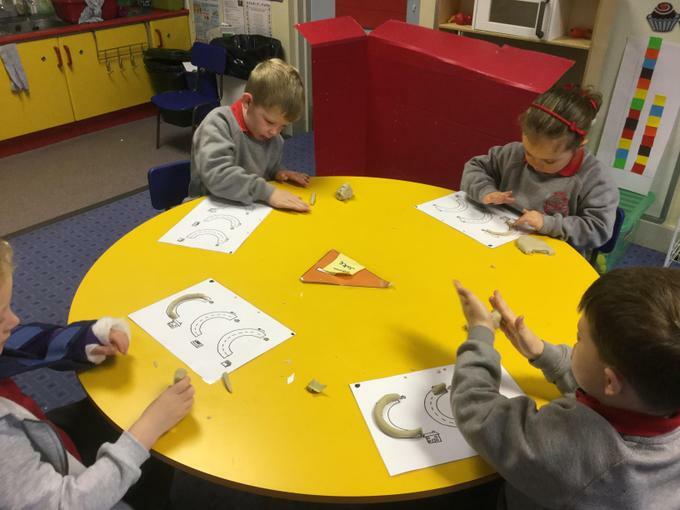 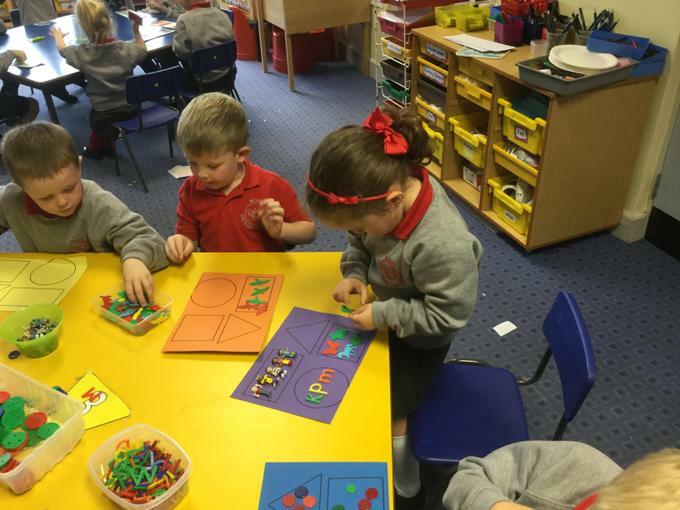 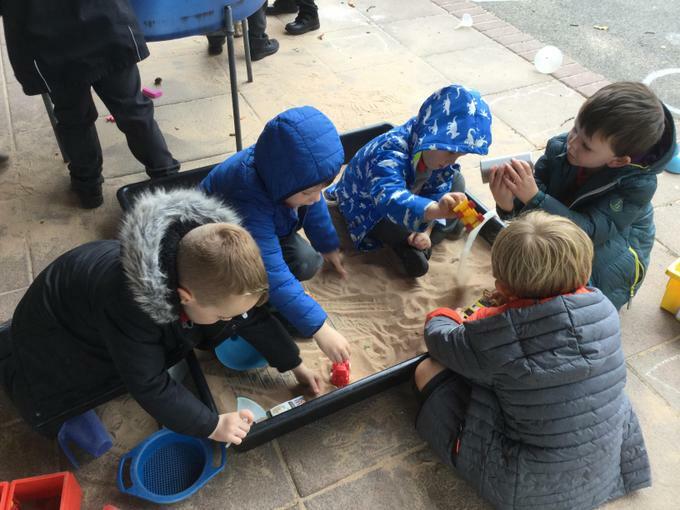 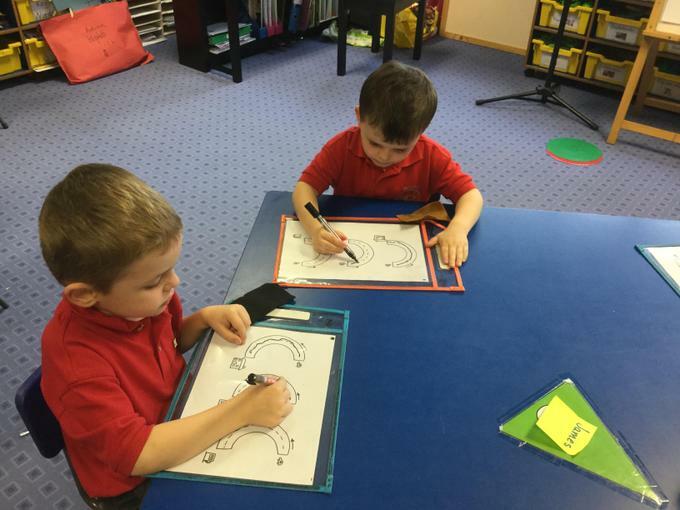 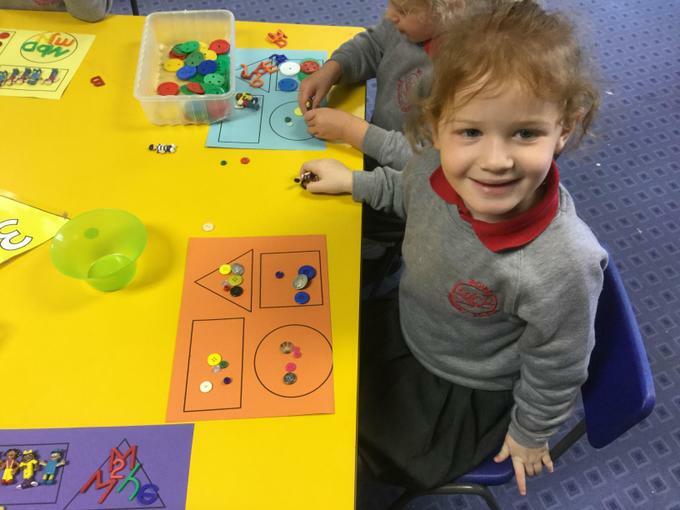 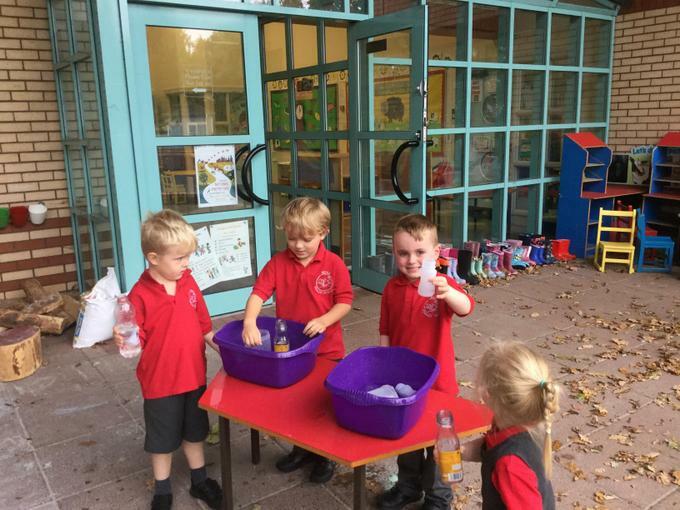 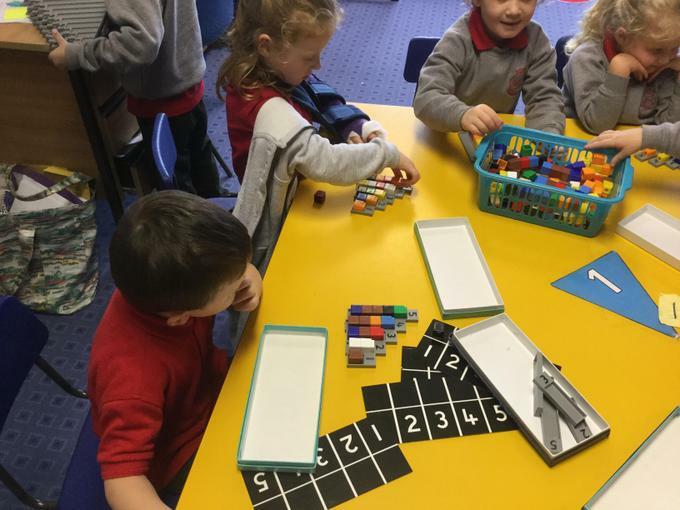 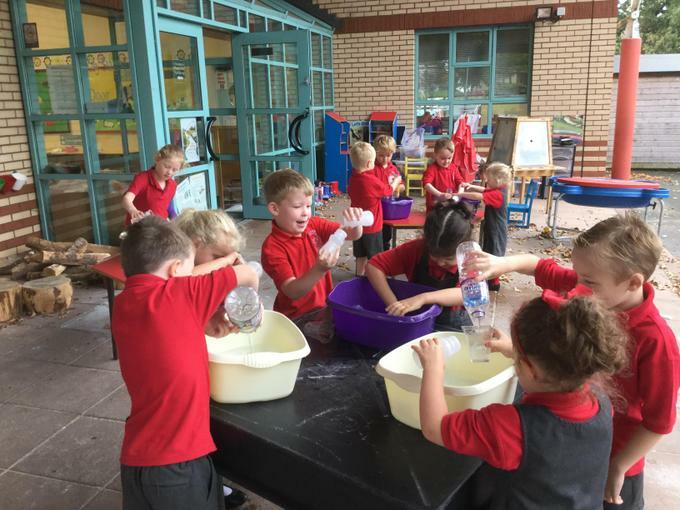 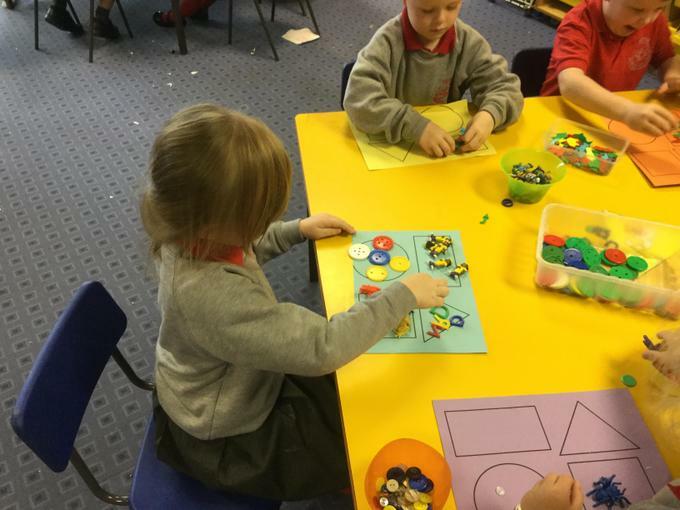 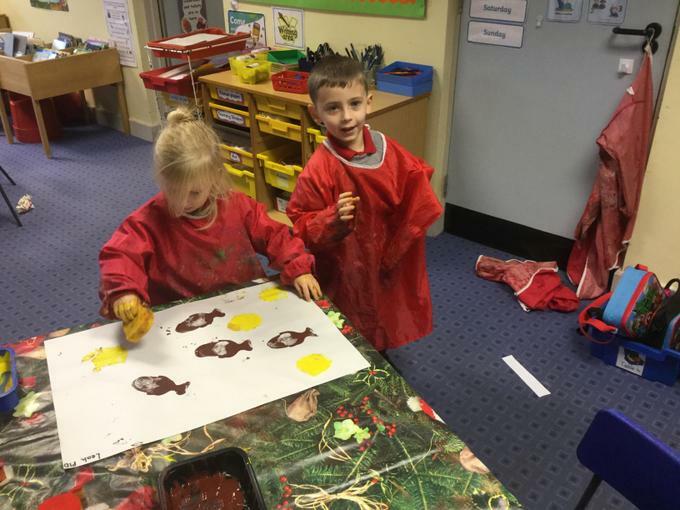 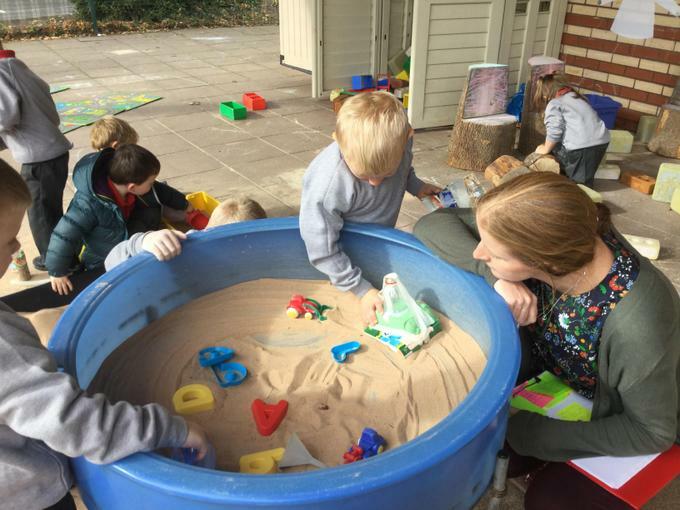 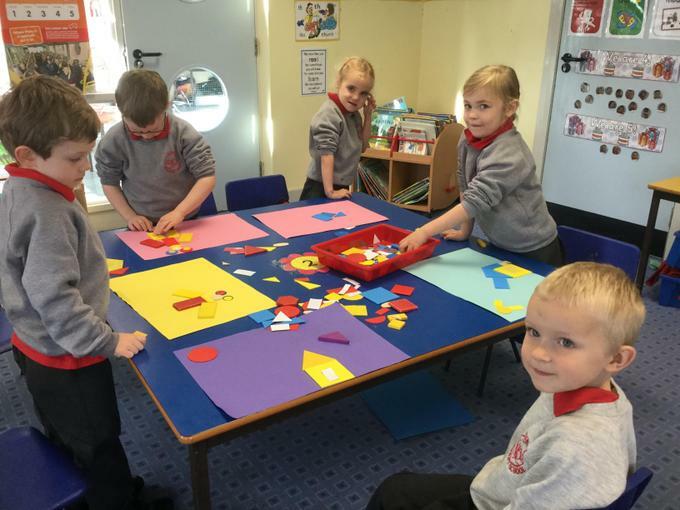 We are learning lots through play. 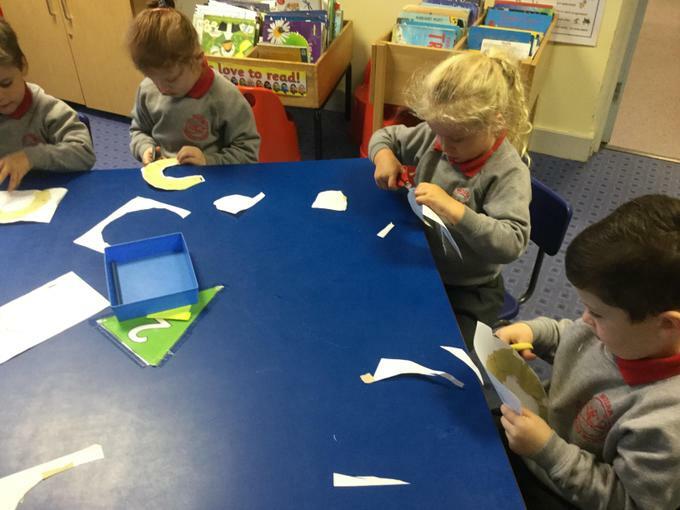 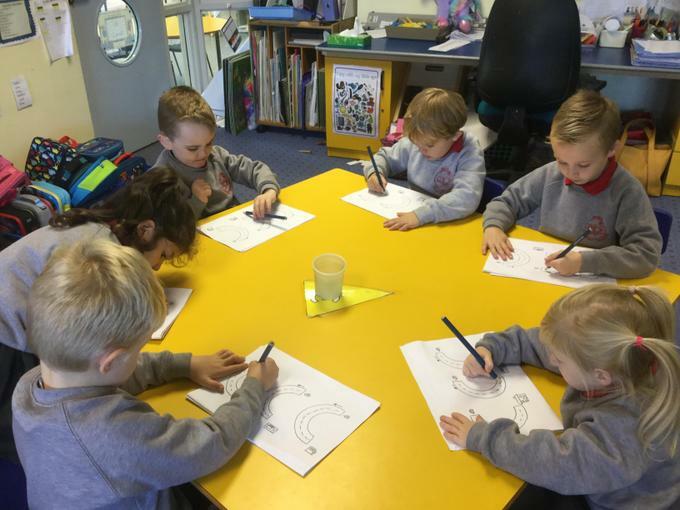 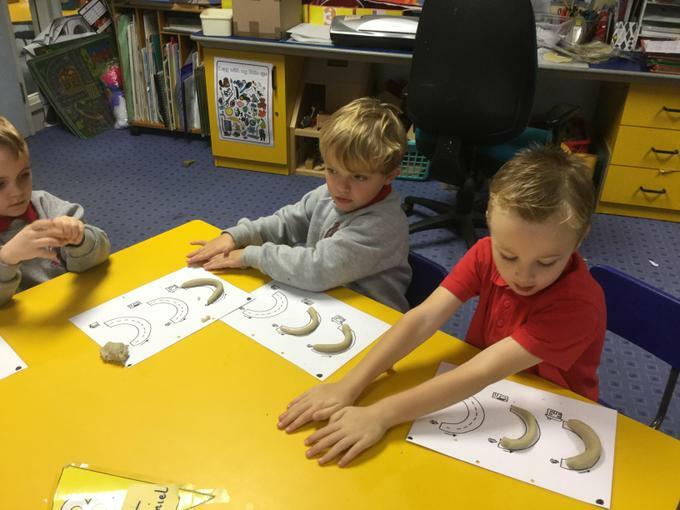 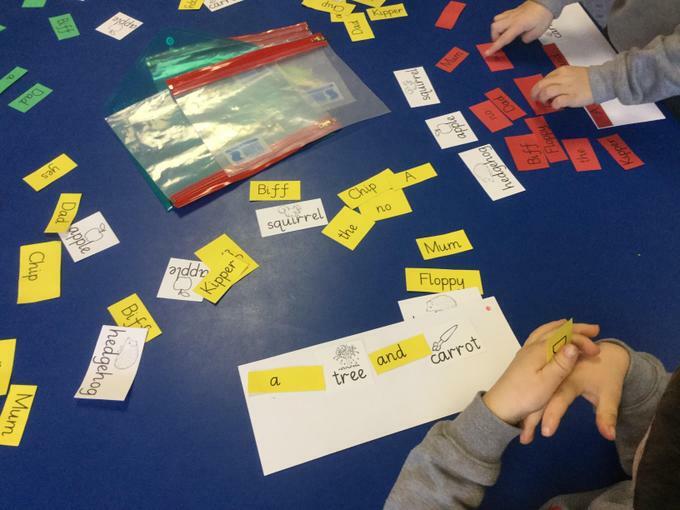 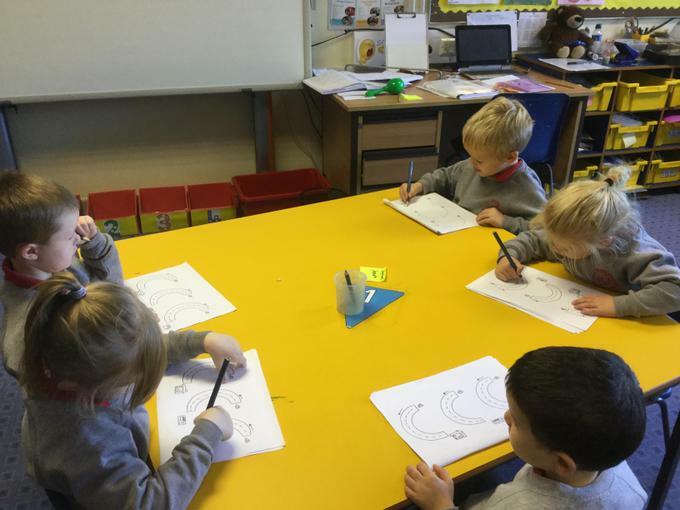 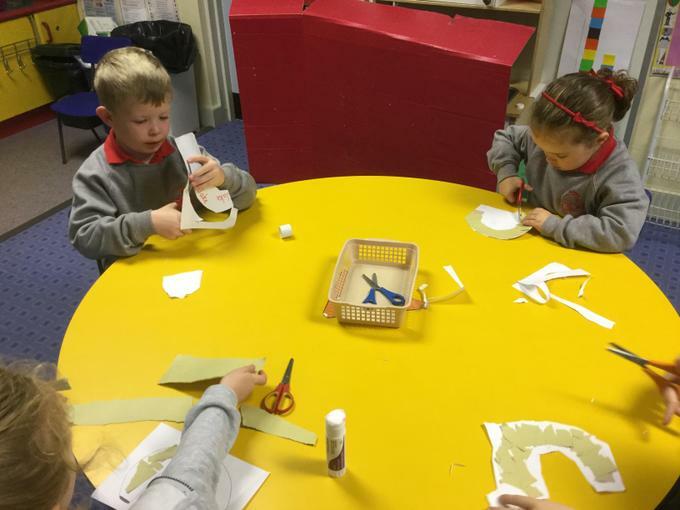 Lots of letters start with a curvy shape - it is like peeling a banana. 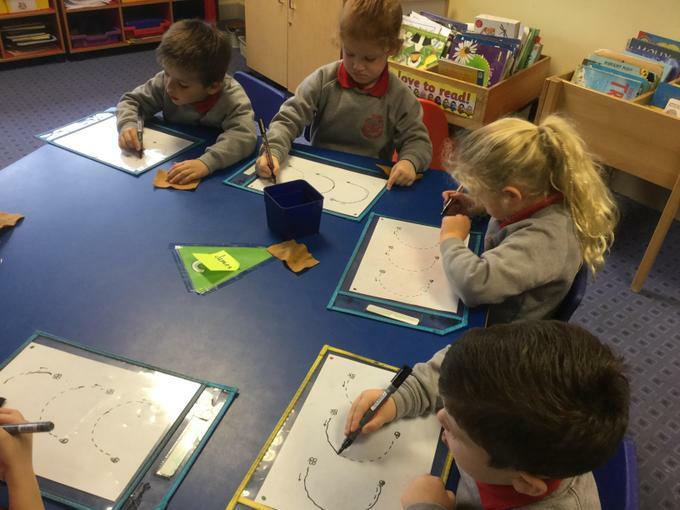 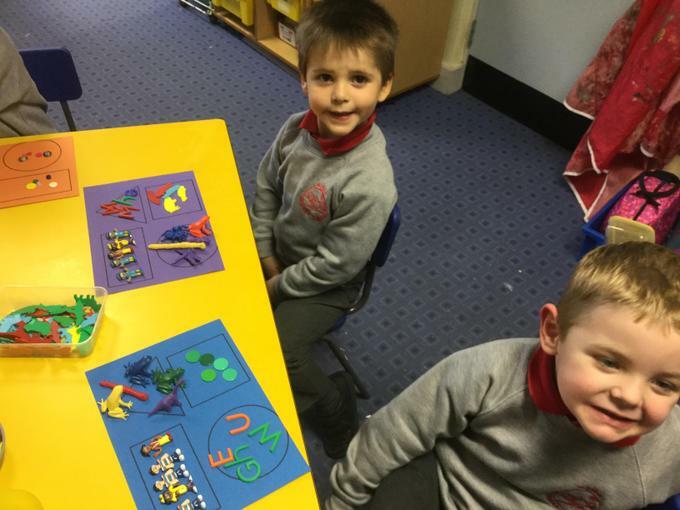 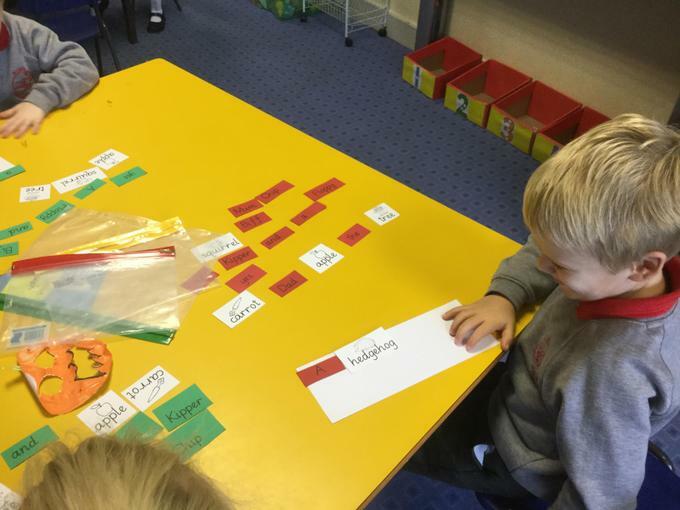 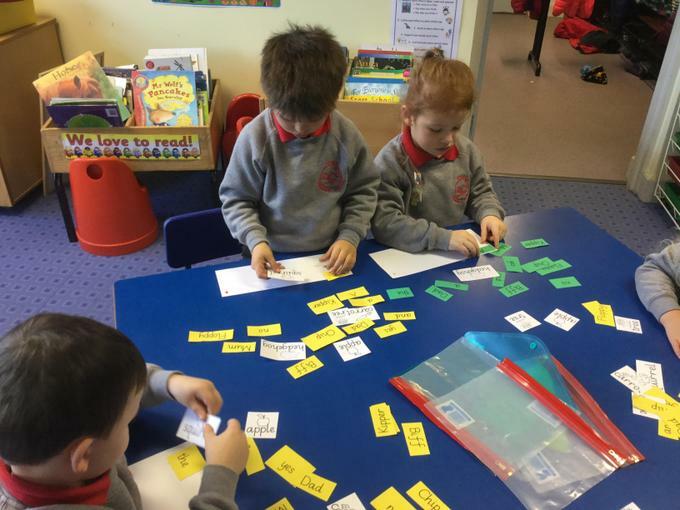 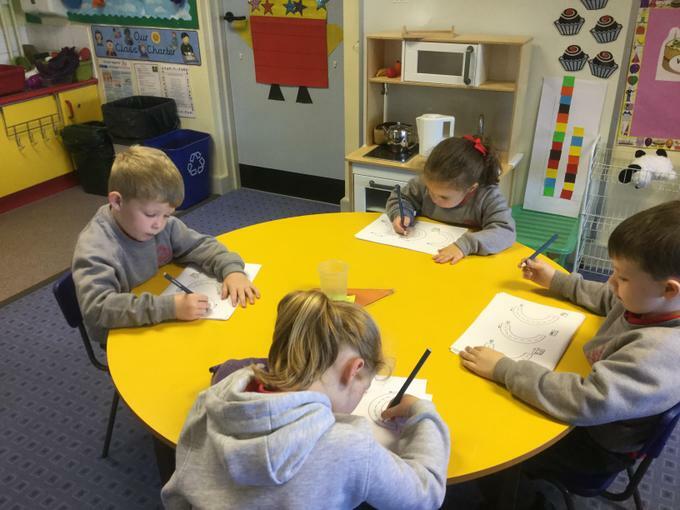 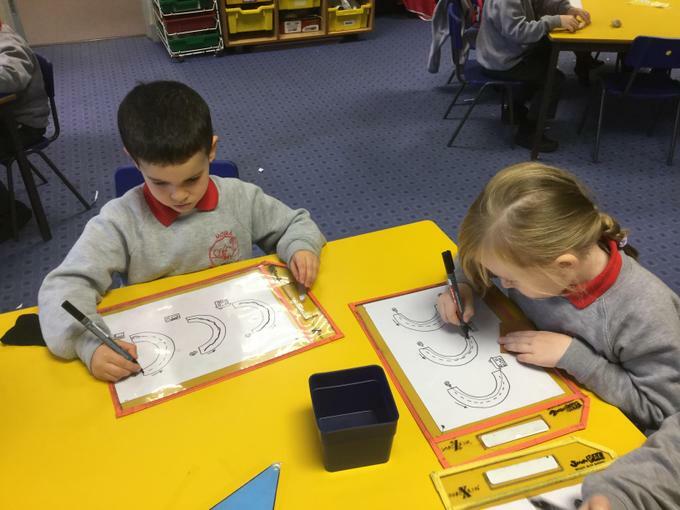 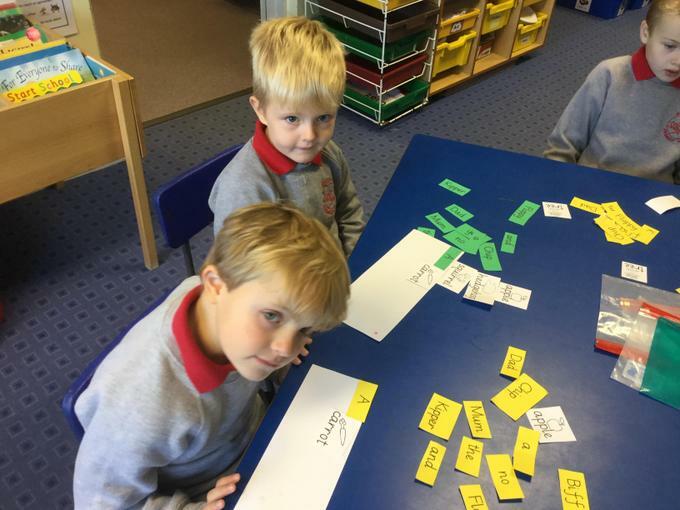 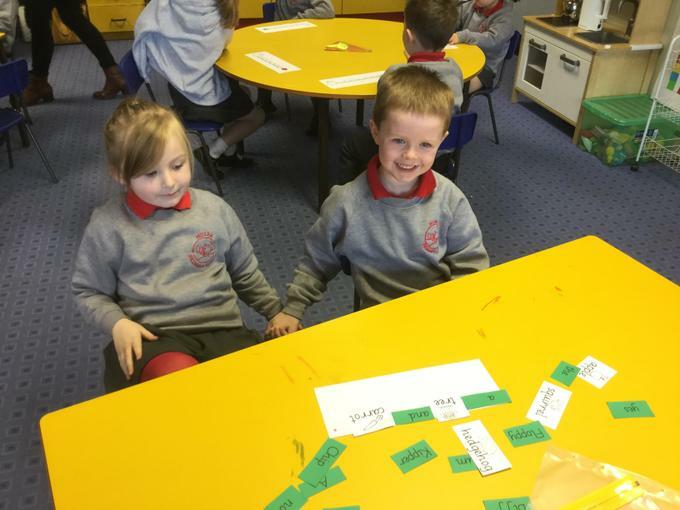 Our tasks this week will help us when we write c, a, o, g, d and q. 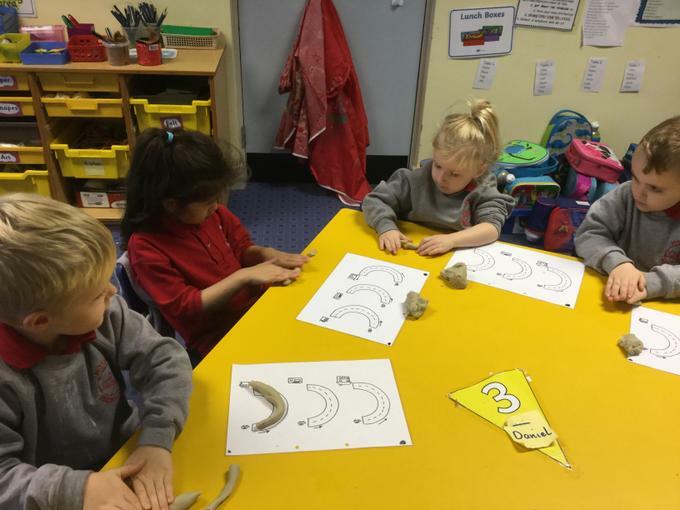 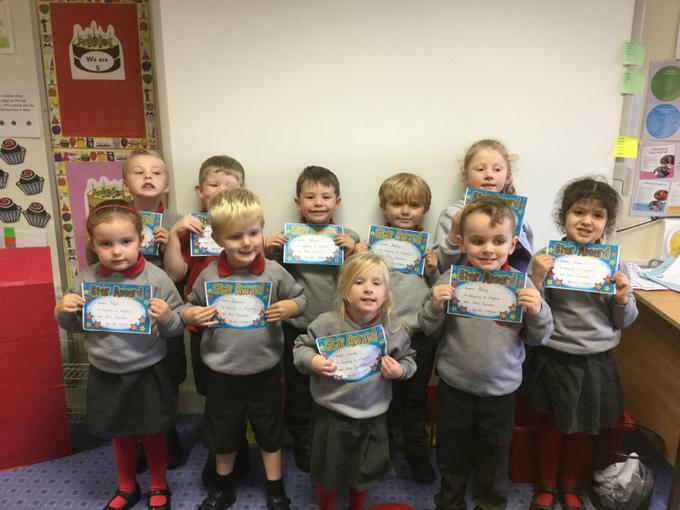 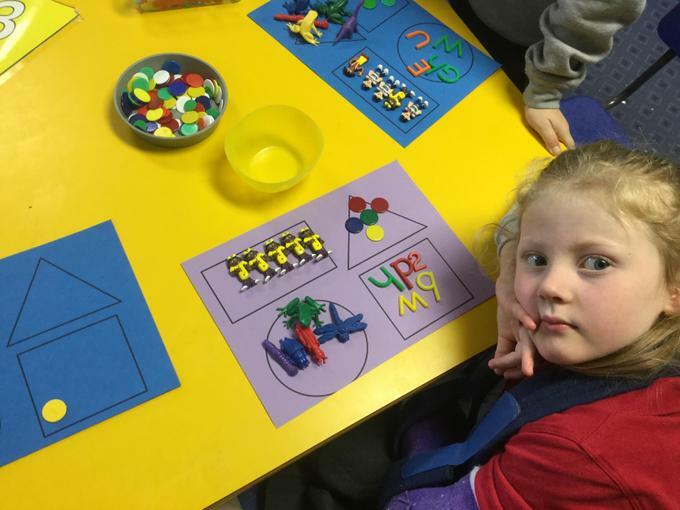 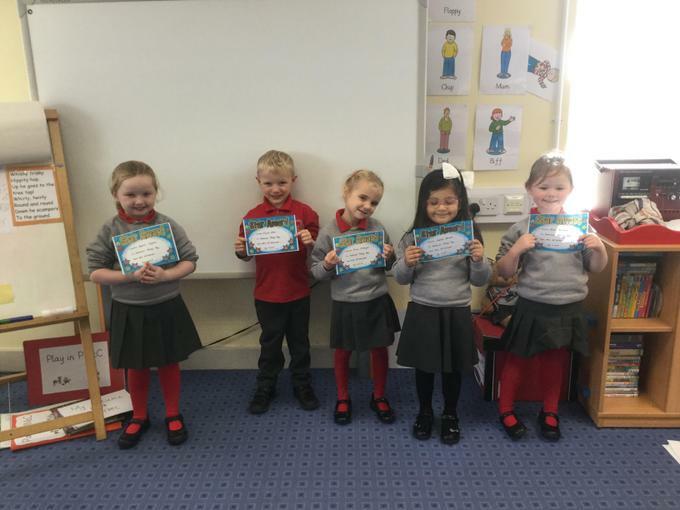 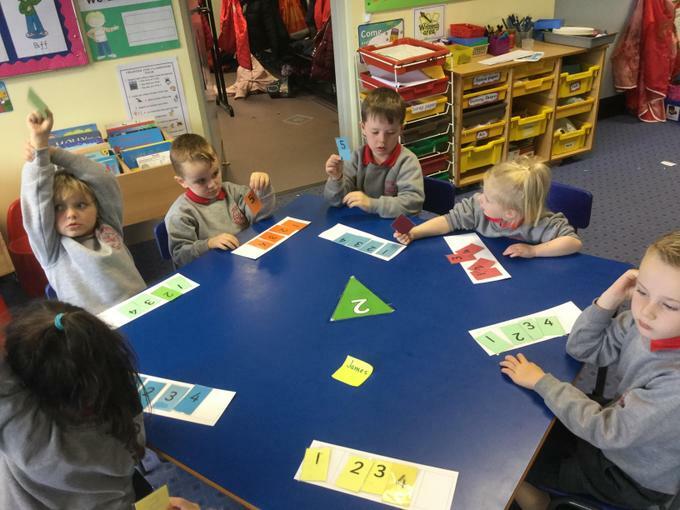 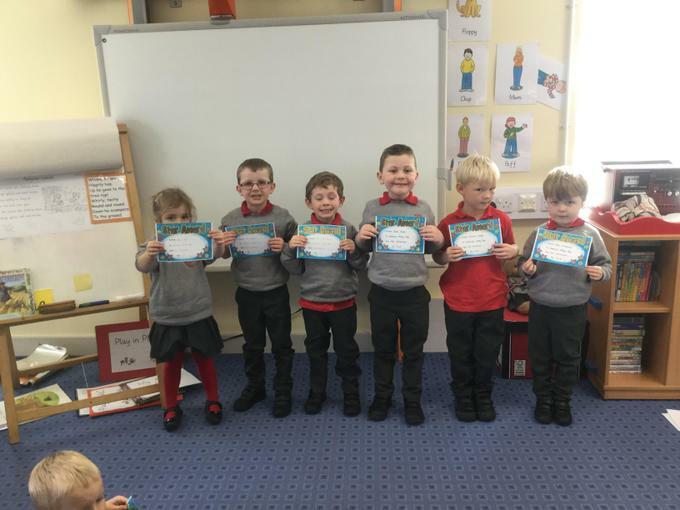 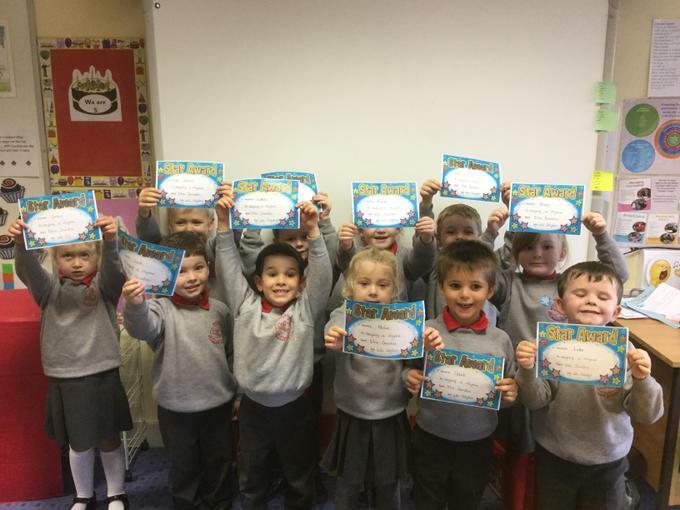 We are learning all about 5 this week. 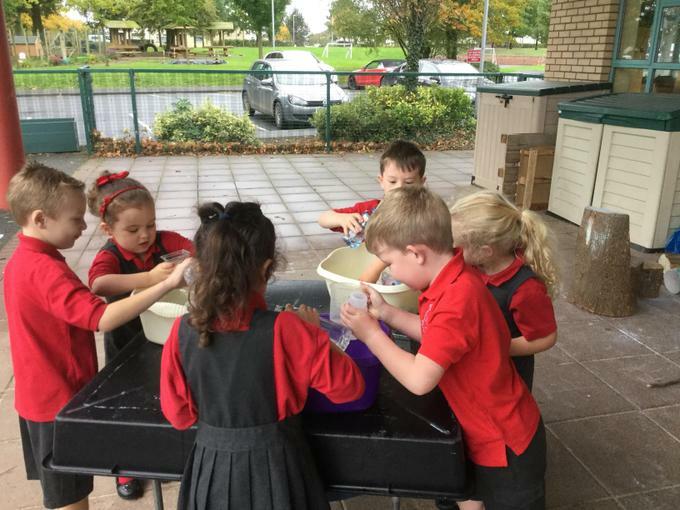 Filling and pouring containers. 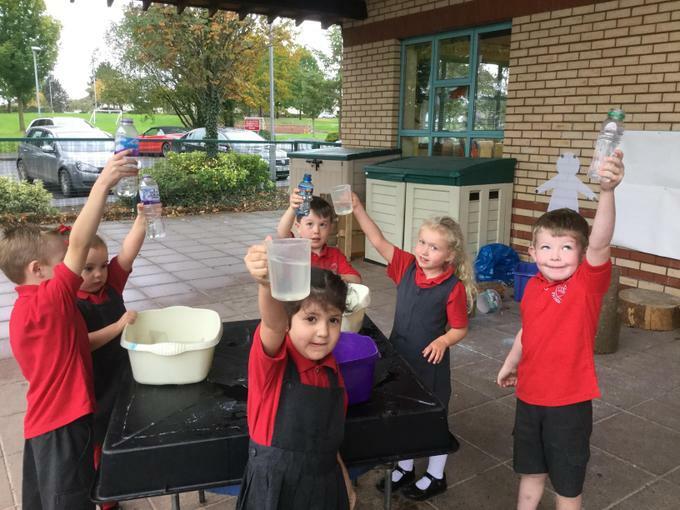 We used to water to make them full and empty. 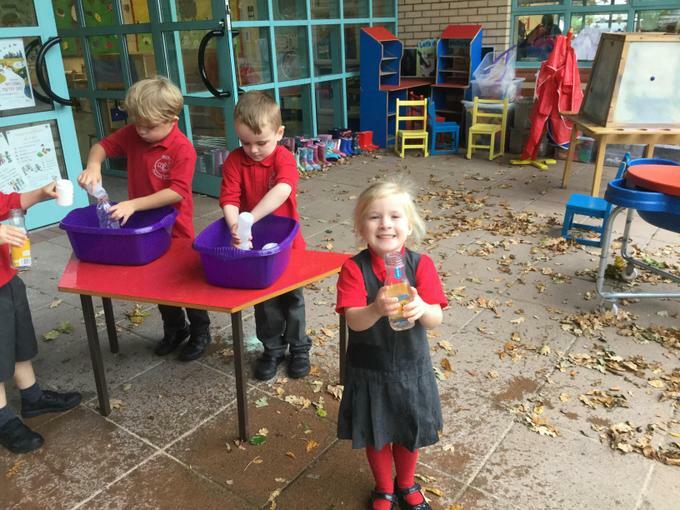 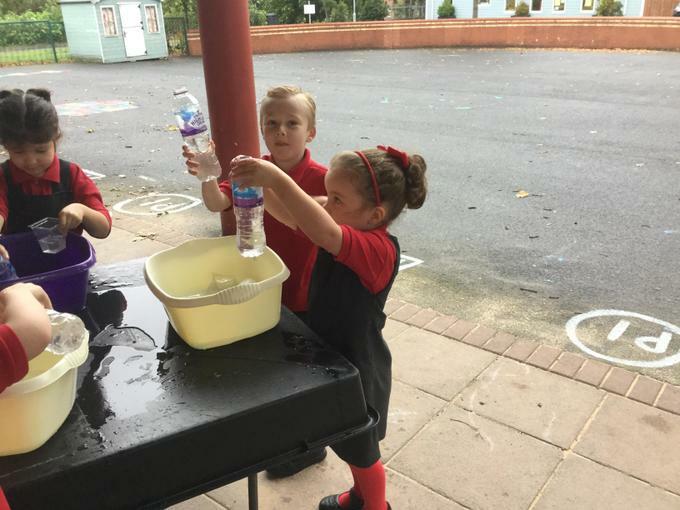 We tried pouring water from a big container into a smaller container. 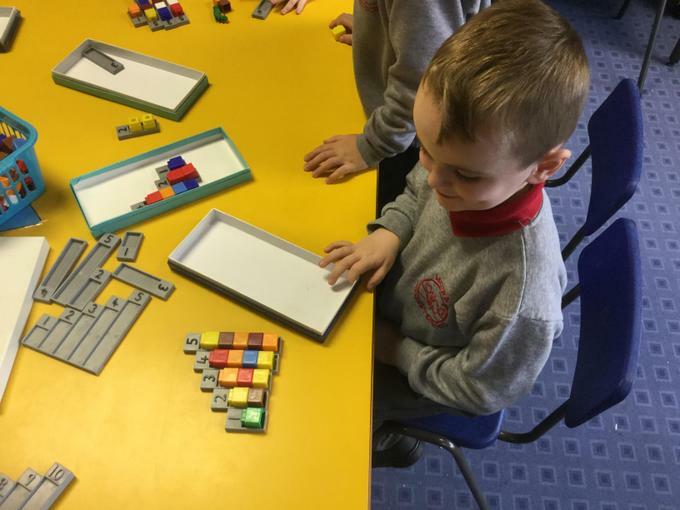 What do think happened. 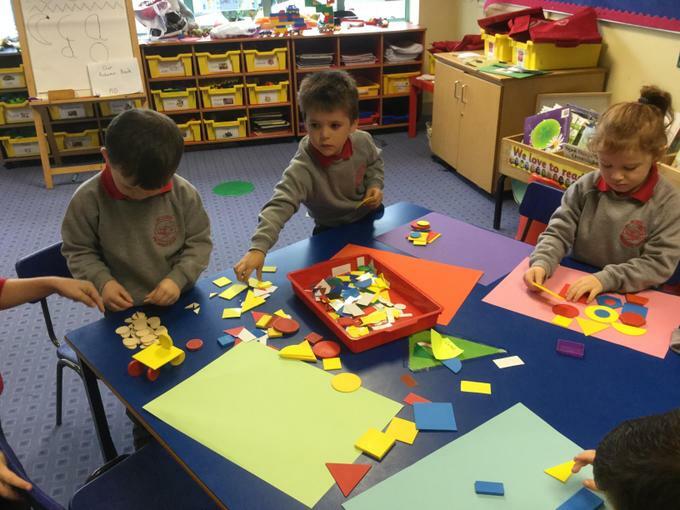 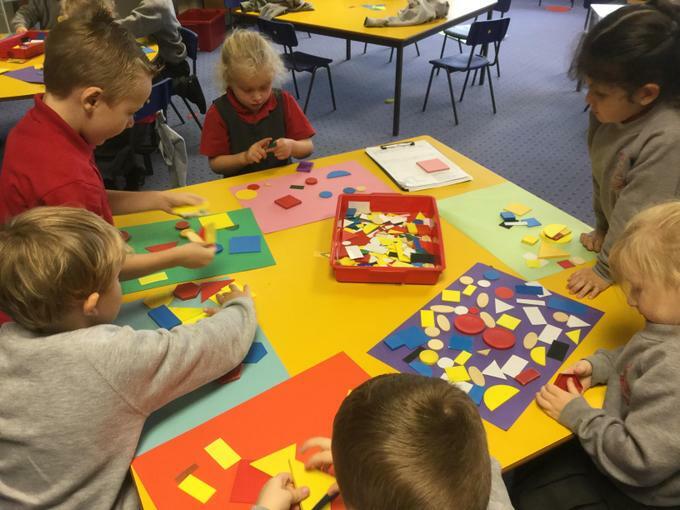 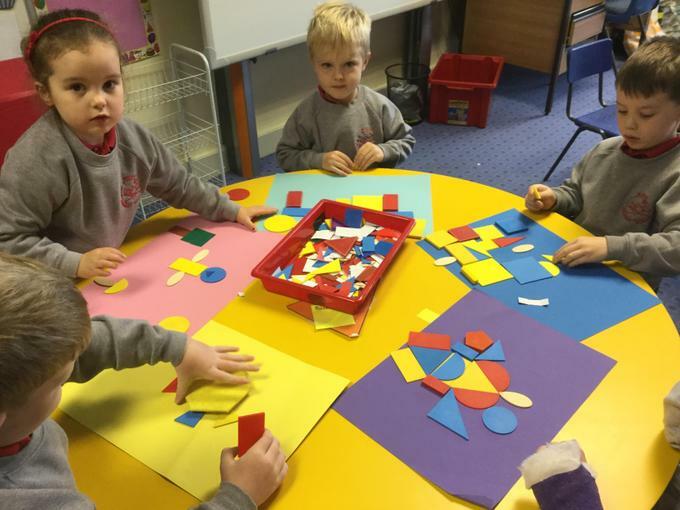 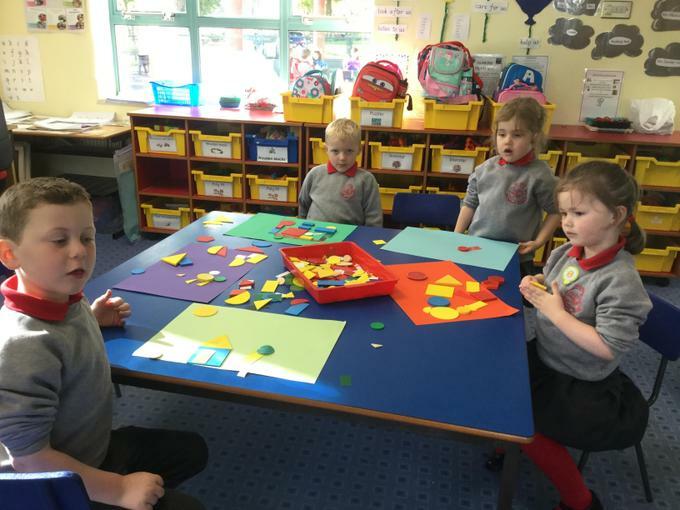 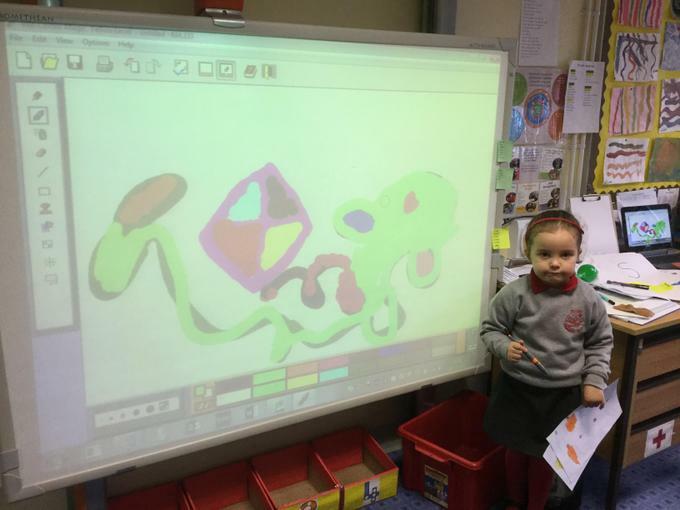 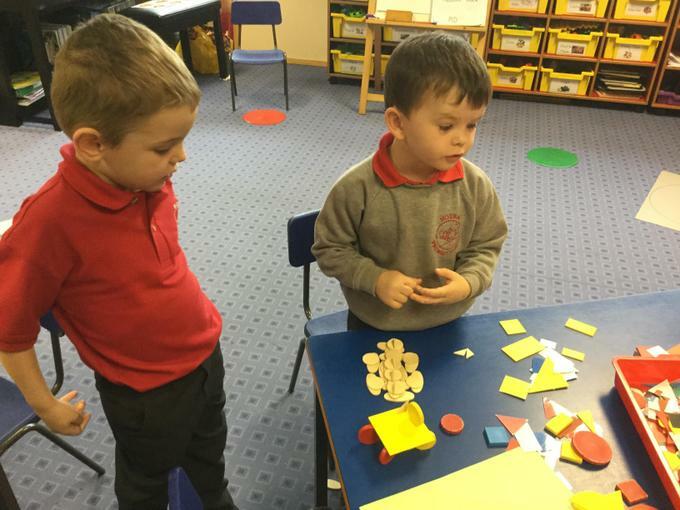 Having fun exploring 2D shapes. 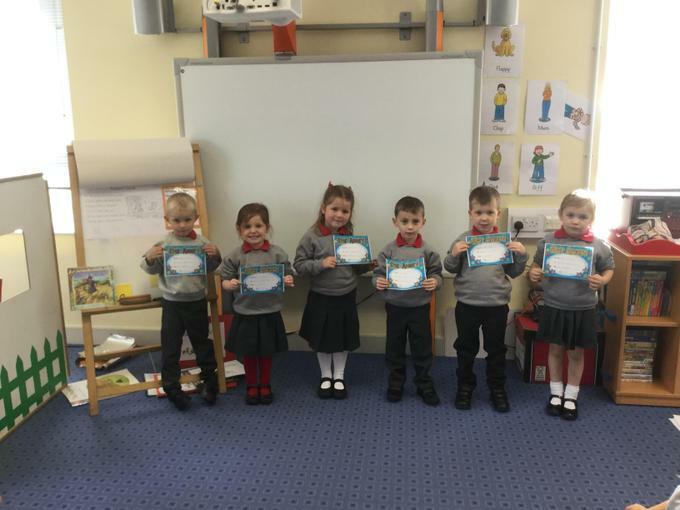 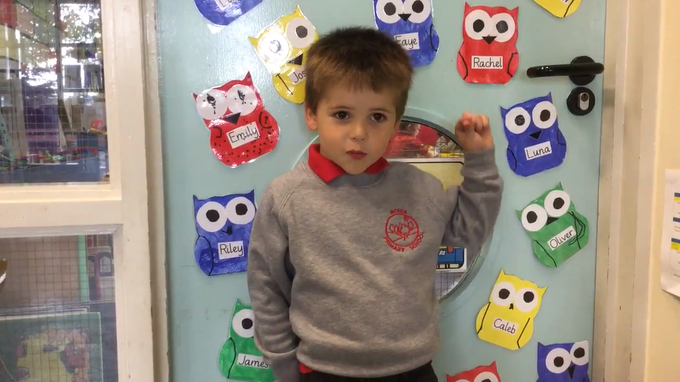 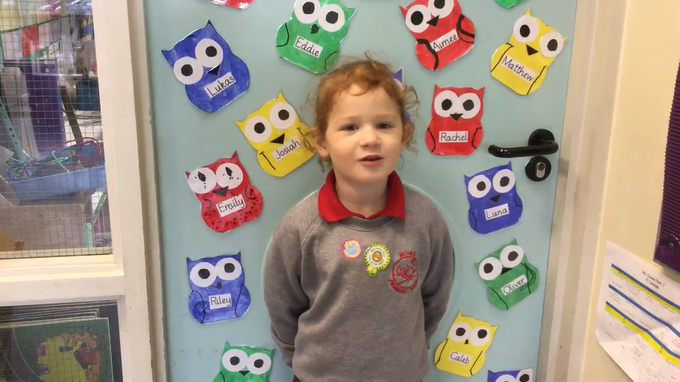 Our teachers were so proud of us when we stood up and said a rhyme in front of the class!